Humanitarian and spiritual leader, Mata Amritanandamayi Devi is known throughout the world as Amma or Mother for her selfless love and compassion towards all beings. 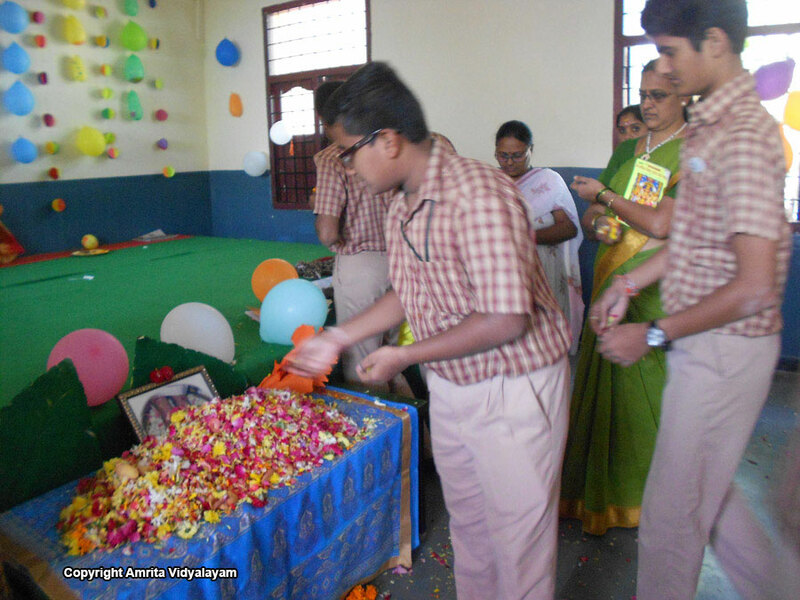 Amma’s birthday is celebrated on September 27th every year. 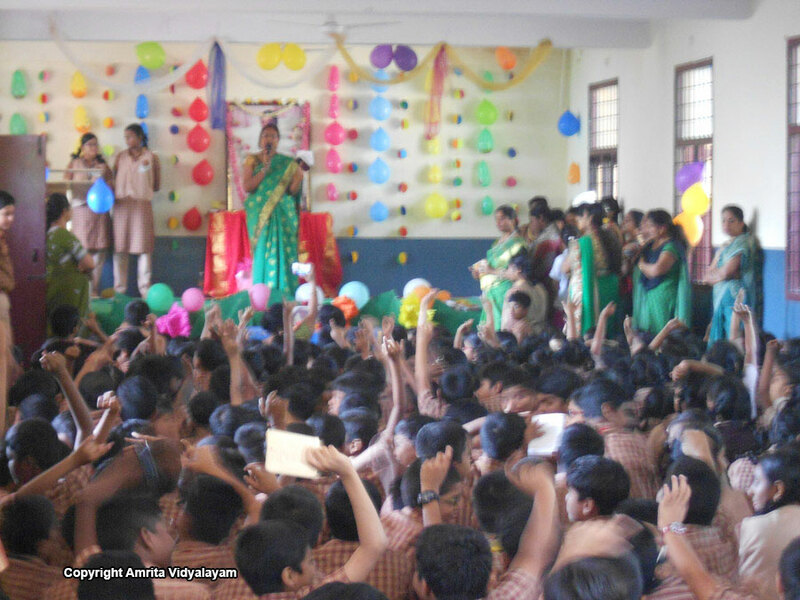 It was a huge event, well organized by students and teachers. Starting with a prayer for invoking the divine presence, the program highlighted activities taken up by Amma for the welfare of mankind. 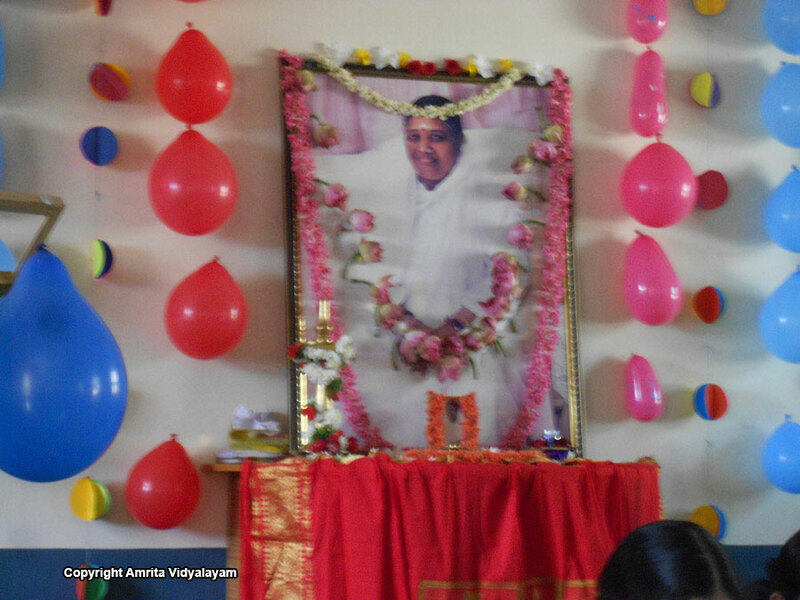 We started the program with Amma’s namavali and followed with bhajans and dance programs. The atmosphere was serene and was filled with the message of love and compassion.